Let’s start this Lucky247 casino review with some of the basic facts about the site. The software developer for the site is Microgaming. The company offer 24/7 live chat and obviously, as the name suggests, offer 24/7 access to online play. This is a new company, established in 2012, that has been verified by eCOGRA but is restricted from use in many countries around the world, including the US and parts of Europe. It is based out of Malta and owned by the company To Play Central Ltd. The site does accept every sort of payment method you could imagine. However, the most surprising detail – for a website working in such a well-established industry – is the length of time that you must wait for withdrawals – something that makes it into most customer reviews. There can be up to three days pending before the withdrawal is even acknowledge then up to 7 days for the transfer of monies. Yet, despite this, Lucky247 has seemingly burst onto the scene and enjoys a significant player following. This means, of course, that we should offer a detailed Lucky247 casino review. Lucky247 have worked hard to get the basics right. This is likely why so many people visit and stick around for a while. The website looks great and the interface is particularly intuitive. This is a slick site – with great gameplay. As a Lucky247 welcome bonus for today’s users – there is a multiplatform compatibility – which means you can play across your devices. Obviously, the speed of processing withdrawals takes away from the user experience with the site – as does the lack of downloadable games. The user experience is therefore limited to the quality of the internet and WIFI connectivity where they are playing. This has to be a huge downside in any Lucky247 casino review. But, it is worth saying that when we played through the browser the play was instant and the games worked well – it was hard to tell the difference from those we play in a downloadable suite from other casino sites. The company have spent a lot of time ensuring the quality of the graphics and sound on the site. These are far more innovative and appealing to the modern gamer than some of the more established sites. A lot of the graphics have the feel of some of the top console games – which is certainly a unique selling point for us in this Lucky247 casino review. Traditionalists might think that the site is a little busy and overly clever – but younger players will acknowledge the sophistication of the design. As it was launched in 2012 there was almost no excuse for compatibility issues and as you would imagine there are none. You can access games through iOS and android apps, as well as on the mac and a PC. There is every sort of game that you would hope to find on the site. Therefore, this Lucky246 casino review can happily report that the online casino ticks the variety of different game card. You can play roulette, Sic Bo, Craps, Baccarat, Blackjack, Craps, Slots, Video Poker, and even scratchcards. Microgaming is a major software developer in the sector and is hard to rival. Using one developer can lead to a lack of innovation and a lack of appeal to different tastes. However, there is no doubting that this company produce games of a really high standard – particularly the 3D slots. But here is the thing, when we tested out the site for our Lucky247 casino review, we want a rich and varied diet. Offering games from one developer means that the choice between slots or between craps tables is sorely limited. You might find a personal favourite on the site and be perfectly happy – but more likely you will be satisfied but not blown away by the choice you are given. The lack of choice extends to there being no live play options. All the games are AI operated – and there is no experience with a real dealer to up the stakes of the experience. This would be a major problem for any serious gambler, who is looking to up the stakes. The Lucky247 welcome bonus is fairly generous. There is a 40 x playthrough to get hold of any winnings – and there is a 90-day limit on using the funds – but the Lucky247 can total up to 500 euros. The site splits its Lucky247 welcome bonus over the first free deposits. However, new users are also given fifty free spins on the Jurassic Park slot – which is an amazing game out of the Microgaming shed. The company is also great at offering occasional free spin promotions every so often. However, the general feel of customer reviews is that the Lucky247 welcome bonus and other promotions are a little lacklustre – and dare we say dull. 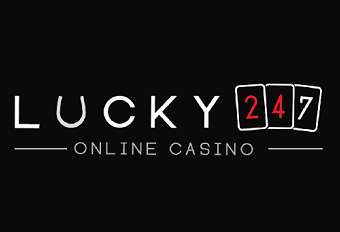 However, as with most of the larger casinos on the internet, Lucky247 also offers a loyalty program. This is a must in today’s online gambling world, as much of a sites success will come from those lifelong customers that keep coming back for more. To conclude our Lucky247 casino review by saying that there is nothing wrong with this site is certainly a backhanded compliment. But, it is true – the site does the basics really well. Gameplay and navigation of the site are excellent – the graphics vibrant – and the compatibility across platforms excellent. It is certainly a good option for casual and informal players. However, if you are a serious and regular gambler – you are likely to take your play elsewhere.